Preheat oven to 475°F. Arrange tortillas on two baking sheets; brush both sides with remaining olive oil. Spread beans and quinoa over tortillas. 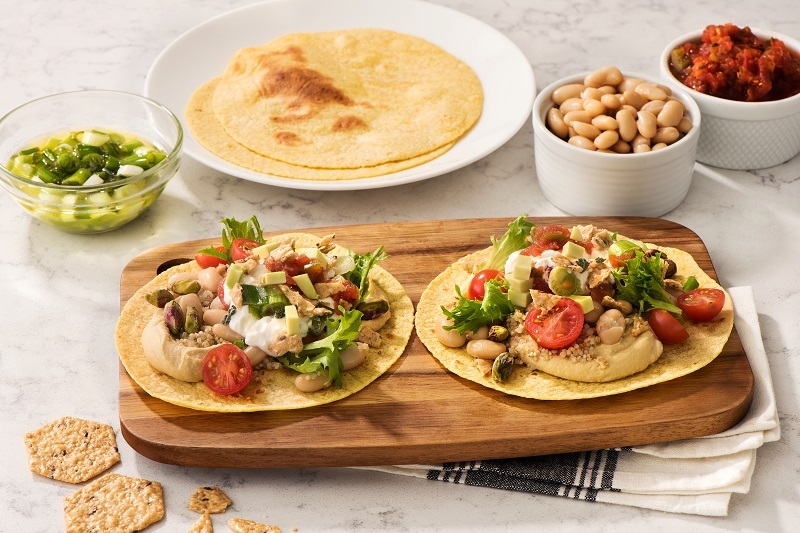 Top with grape tomatoes, Crunchmaster® Original Multi-Seed Crackers, avocado, salad greens, pistachios, orange juice, parsley and hummus. Bake until golden brown, approximately 10-12 minutes, rotating sheets halfway through.